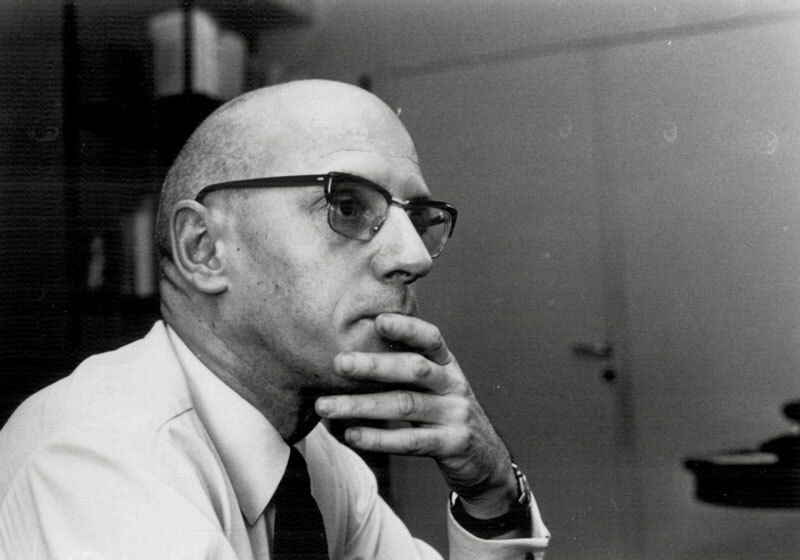 In the April 1970 Michel Foucault was elected to the prestigious academic institution Collège de France. The chair, which was created for Foucault on the proposal of Jules Vuillemin was titled Histoire des systèmes de pensée (The History of Systems of Thought) and it replaced the chair of “The history of Philosophical Thought held by Jean Hyppolite until his death. Foucault delivered his inaugural lecture L’ Ordre du Discours (The Order of Discourse) on 2 December 1970 and then lectured at the Collége from January 1971 until his death in 1984. Professors in Collége can dedicate most of their time to their research. Their only duty is to teach 26 hours in every year based on their original research. So every year the lectures will introduce their most recent ongoing research for the public. The lectures are open for everyone and professors do not have students but rather public audience. Foucault wrote course summary on every course published by the Annuaire du Collège de France, yet he himself never intended to publish the lectures themselves. However, his heirs authorised their posthumous publication and the lectures were edited on the basis of tape-recordings, notes, manuscripts and published by Gallimard (1997-2015). Foucault: Résumé des cours (1970-1982) Conférences, Essais Et Leçons Du Collège De France. Julliard 1989. 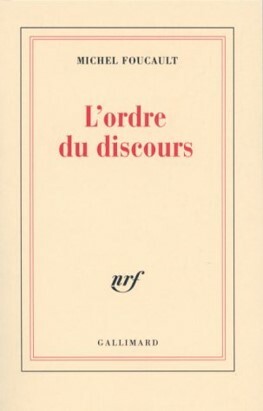 Foucault: L’ Ordre du Discours. Leçon Inaugurale du Collège de France, 2 décembre 1970. Paris, Gallimard, 1971. English: Foucault: “The order of discourse,” translated by Ian McLeod in R. Young (ed.). (1981). Untying the Text : a Poststructuralist Reader. Boston: Routledge and Kegan Paul, pp. 48-78. Leçons sur la volonté de savoir: Cours au collège de France (1970 -1971) Suivi de Le savoir d’oedipe. Sous la direction de Alessandro Fontana et François Ewald par Daniel Defert. Gallimard/Seuil, Paris 2011. Luentoja tiedontahdosta ja Oidipuksen tieto (ei suom.). Théories et Institutions pénales: Cours au Collège de France (1971-1972). Sous la direction de François Ewald et Alessandro Fontana par Bernard Harcourt. Gallimard/Seuil, Paris 2015. Gallimard/Seuil, Paris 2015. Penal Theories and Institutions. Lectures at the Collège de France, 1971-1972. Translated by Burchell. Palgrave Macmillan 2018. La Société punitive: Cours au Collège de France (1972-1973). Sous la direction de François Ewald et Alessandro Fontana par Bernard Harcourt. Gallimard/Seuil, Paris 2013. 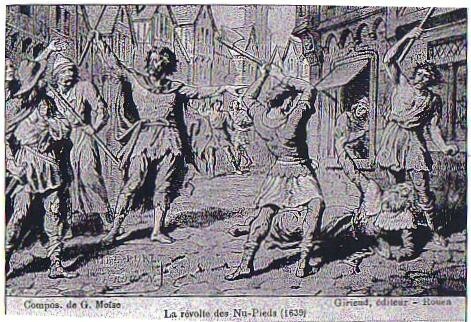 The Punitive Society. Lectures at the Collège de France, 1972-1973. Translated by Graham Burchell. Palgrave Macmillan, 2015. Eetu Viren: Yhteiskunta on rangaistus. Kumu. Verkkosivusto. Psychiatric Power:Lectures at the Collège de France, 1973-1974. Translated by Graham Burchell. Palgrave Macmillan, 2006. Finnish: Psykiatrinen valta (ei suom.). Eetu Viren: Psykiatrinen valta. Kumu verkkosivusto. Les Anormaux: Cours au Collège de France (1974-1975). Sous la direction de François Ewald et Alessandro Fontana par Valerio Marchetti, Antonella Salomoni. Gallimard/Seuil, Paris 1999. Abnormal: Lectures at the Collège de France, 1974-1975. Translated by Graham Burchell. Picador, New York 2003. Koivusalo, Markku: Groteski valta: Collége de Francen kellonsoittaja hirviöiden ja peukaloisten maassa. Tiede ja edistys 2/2004. Eetu Viren: Oletko sinä abnormi? Kumu verkkosivusto. II faut défendre la société: Cours au Collège de France (1975-1976). Sous la direction de François Ewald et Alessandro Fontana par Mauro Bertani et Alessandro Fontana. Gallimard/Seuil, Paris 1997. Society Must Be Defended”: Lectures at the Collège de France, 1975-1976. Translated by David Macey. Picador, New York 2003. Yhteiskuntaa on puolustettava. (ei suom.). Luento 17.3.1976: Vaalia elämää ja antaa kuolla: rasismin synty. Suomentanut Himanen, Könönen ja Paakkari. Tiede ja edistys 4/2006. Koivusalo Markku: Väkivalta elämän aikakaudella. Tiede ja edistys 4/2006. Koivusalo Markku: Sukututkijan jäämistö. Tiede ja edistys 4/1998. Sécurité, Territoire, Population: Cours au Collège de France (1977-1978). Sous la direction de François Ewald et Alessandro Fontana par Michel Senellart. Gallimard/Seuil, Paris 2004. Security, Territory, Population: Lectures at the Collège de France 1977-1978. Translated by Graham Burchell. Palgrave Macmillan, New York 2007. Turvallisuus, alue, väestö. Hallinnallisuuden historia. Collège de Francen luennot 1977-1978. Suomentanut Antti Paakkari. Tutkijaliitto, Helsinki 2010. Koivusalo, Markku: Foucault ja elämän hallitseminen. Kristillisestä tottelevaisuudesta laskelmoiviin taloussubjekteihin. Tiede ja edistys 4/2005. Jakonen, Mikko: Hallinta ennen kaikkea. Kulttuurintutkimus 3/2010. Eetu Viren: Onko valtiota olemassa. KUMU verkkosivusto. Naissance de la biopolitique: Cours au collège de France (1978-1979). Sous la direction de François Ewald et Alessandro Fontana par Michel Senellart. Gallimard/Seuil, Paris Gallimard Seuil 2004..
English: The Birth of Biopolitics: Lectures at the Collège de France, 1978—1979. Translated by Graham Burchell. Palgrave Macmillan, New York 2008. Eetu Viren: Markkinat totuuden tuottamisen koneena. KUMU verkkosivusto. Du gouvernement des vivants: Cours au collège de France (1979-1980). Sous la direction de François Ewald et Alessandro Fontana par Michel Senellart. Gallimard/Seuil, Paris Gallimard Seuil 2012. On The Government of the Living: Lectures at the Collège de France, 1979-1980. Translated by Graham Burchell. Palgrave Macmillan, New York 2014. Eetu Viren: Elävien hallinta totuuden avulla. KUMU verkkosivusto. Subjectivité et Vérité: Cours au collège de France (1980 -1981). Sous la direction de François Ewald et Alessandro Fontana par Frédéric Gros. Gallimard/Seuil, Paris 2014. .
Subjectivity and Truth. Lectures at the Collège de France, 1980-1981. Translated by Graham Burchell. Palgrave Macmillan, New York 2014. Subjektiivisuus ja totuus (ei suom.). L’Hermeneutique du sujet : Cours au Collège de France (1981-1982). Sous la direction de François Ewald et Alessandro Fontana par Frédéric Gros. Gallimard/Seuil, Paris 2001. .The Hermeneutics of the Subject: Lectures at the College de France 1981-82. Translated by Graham Burchell. Palgrave Macmillan, New York 2005. Jussi Vähämäki: Foucault ja subjektin hermeneutiikka. KUMU verkkosivusto. Le Gouvernement de soi et des autres. Cours au Collège de France (1982-1983). Sous la direction de François Ewald et Alessandro Fontana par Frédéric Gros. Gallimard/Seuil, Paris 2008. The Government of Self and Others: Lectures at the Collège de France, 1982-1983. Translated by Graham Burchell. Palgrave Macmillan, New York 2010. Jakonen, Mikko: Politiikasta filosofiaan ja takaisin. Tiede & edistys 4/2009). Jussi Vähämäki: Totuusteatteria. KUMU verkkosivusto. Le courage de la vérité: Le Gouvernement de soi et des autres II. Cours au Collège de France (1983-1984). Sous la direction de François Ewald et Alessandro Fontana par Frédéric Gros. Gallimard/Seuil, Paris 2009. The Courage of Truth: The Government of Self and Others II: Lectures at the College de France, 1983-1984. Translated by Graham Burchell. Palgrave Macmillan, New York 2011. Itsen ja toisten hallinta: Rohkeus totuuteen (ei suom.). Jussi Vähämäki: Koirien poliittisesta elämästä. KUMU verkkosivusto. Jussi Vähämäki: Koirien poliittisesta elämästä II. KUMU verkkosivusto.